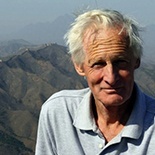 John Man writes on Inner Asia, in particular Mongolia and north China. 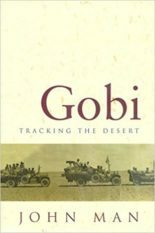 He has travelled extensively, exploring the Gobi desert (Gobi: Tracking the Desert, 1997), the valley where Genghis Khan died in north-west China, the mountain on which he may be buried, and Xanadu, Kublai Khan’s first capital. 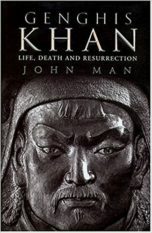 Genghis Khan: Life, Death and Resurrection is a best-seller in 22 languages. 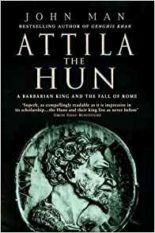 The 14 books in print include Attila the Hun, Kublai Khan, The Terracotta Army, The Great Wall, Xanadu (published in the US as Marco Polo) and The Mongol Empire. Saladin appeared in 2015, and his latest, Amazons, in 2017. 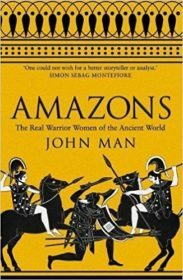 His next book will be on the Xiongnu (known as Huns in Mongolia and China), founders of the first nomadic empire. In 2007, he was awarded Mongolia’s Friendship Medal for services to Anglo-Mongolian relations.